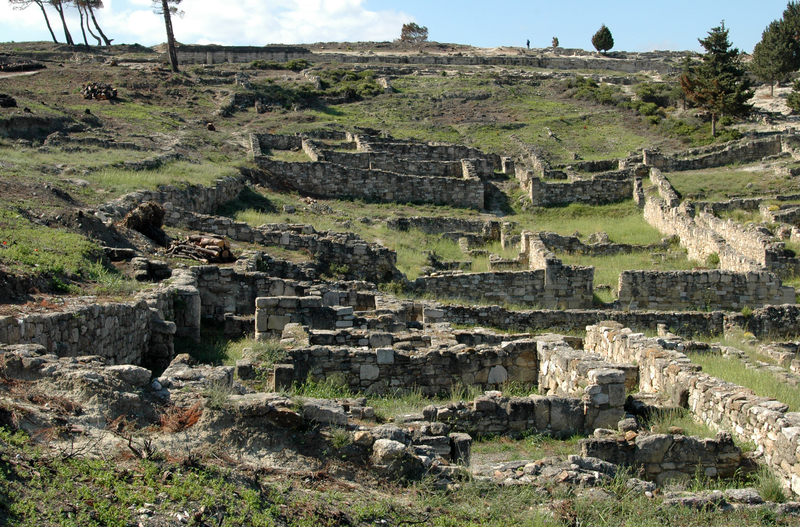 The ruins of the archaeological site of Camiros, Kamiros or Kameiros, "the white Camire" are dispersed in an amphitheater on the gently sloping terraces of a hill. 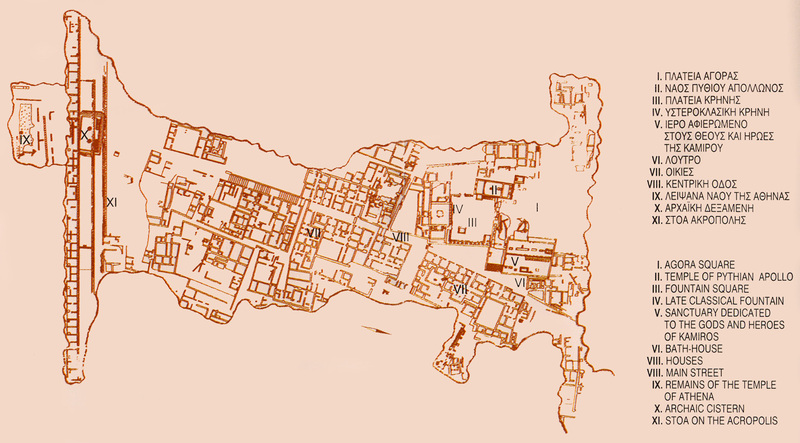 With more than a kilometer and a half in diameter, the ruins of Camiros are much larger than those of Ialyssos , perhaps because the city remained an important outpost after the new Rhodes was completed in 408 before BC. 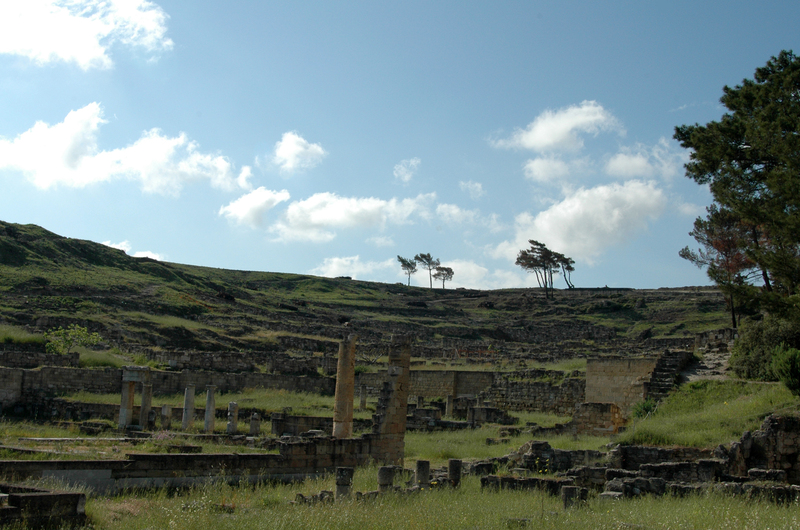 The remains of Camiros belong mainly to the Hellenistic period (300-100 BC). 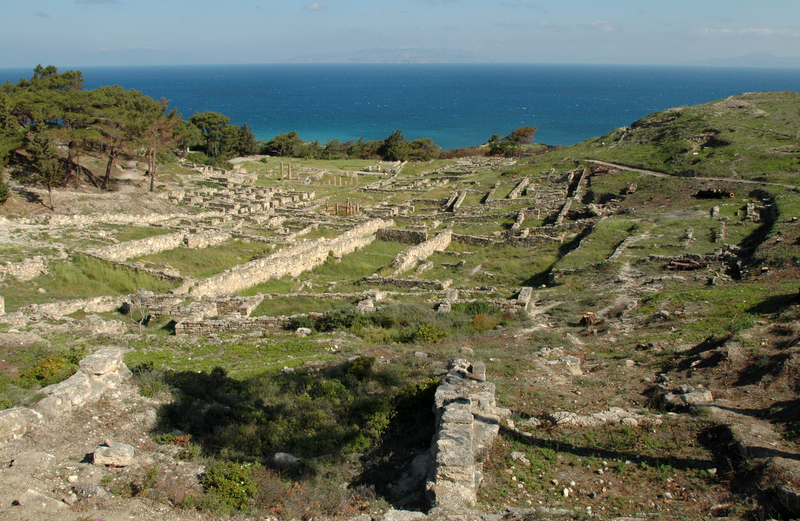 The ruins of the old city of Camiros (Κάμειρος) located 34 km southwest of the city of Rhodes . 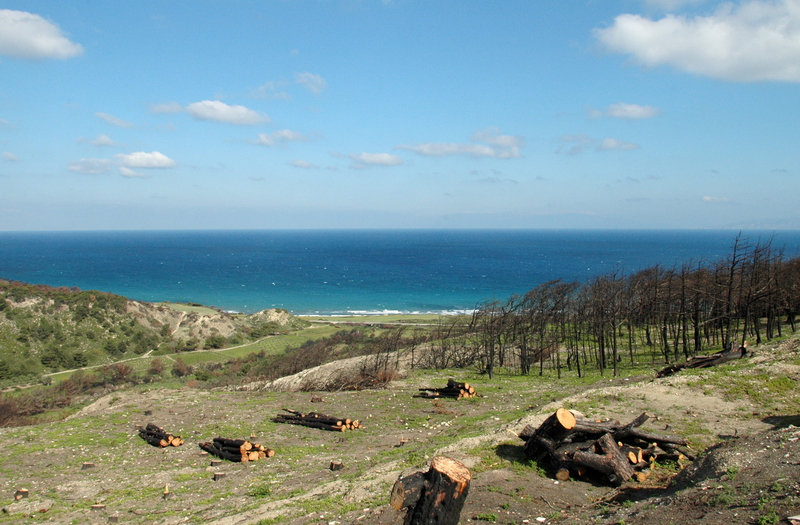 Camiros is located between the green hills, not far from the west coast of the island of Rhodes , the coastal road from the west, exit at Agios Minas (Αγίου Μηνά). 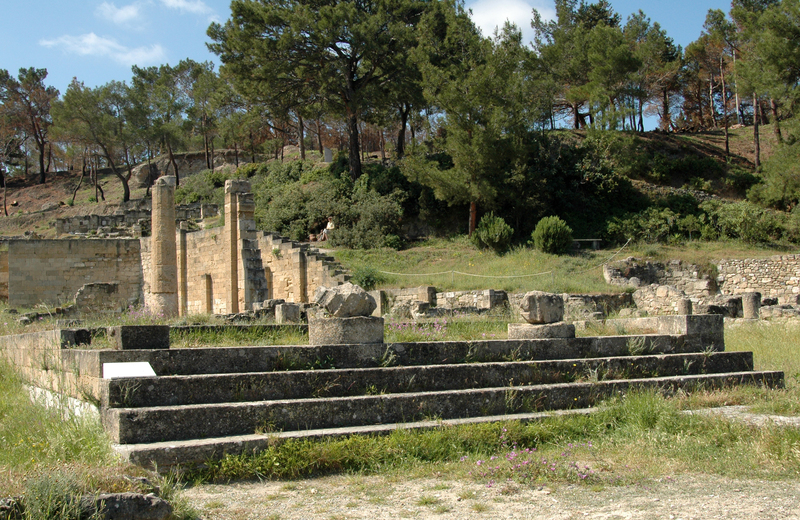 On the lower terrace, the agora as a gathering place. 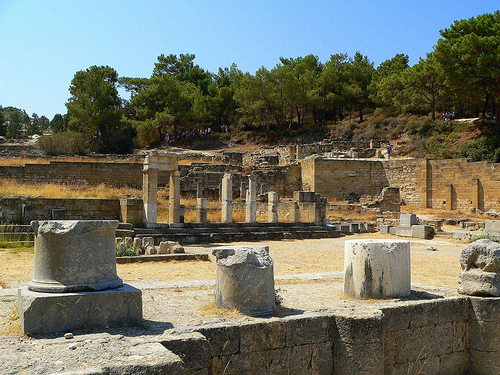 On the right side of the agora stands a Doric temple probably dedicated to Apollo (third century or early second century BC), with its portico, which he still bases of columns. 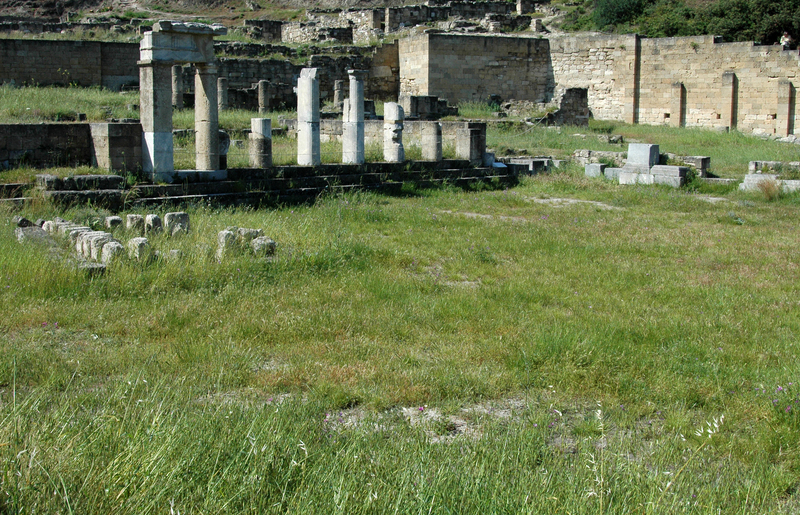 To the left of the temple is the place called "Fountain Square", a rectangular space with many votive inscriptions bases. The fountain was on the south side of the square. Its facade was composed of six half-Doric columns, today restored. Just behind the fountain was a tank containing open water gushing through hydrants. 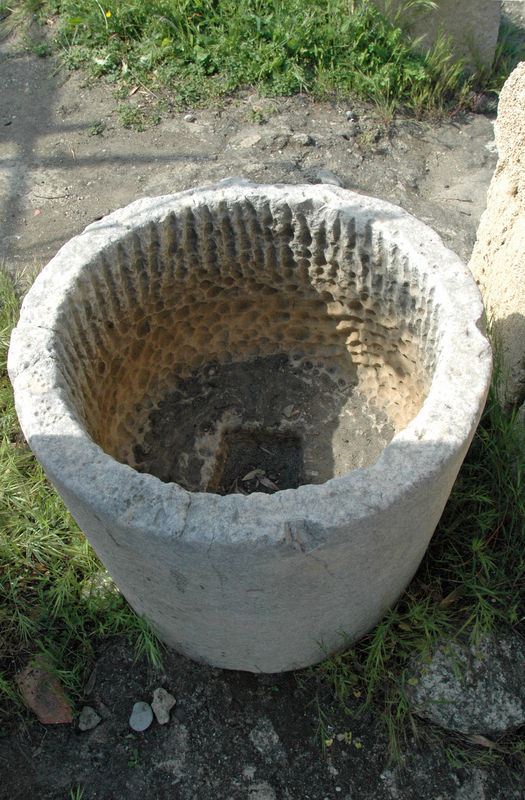 The fountain was built in the classical period and modified at the beginning of the third century BC, when a second smaller square was created on the site, with a well in the center. 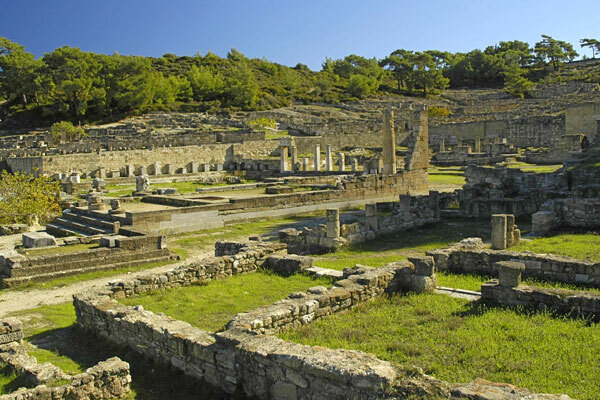 In the eastern part of the agora is a "Heroon" sanctuary dedicated to the heroes and gods of Camiros, consisting of an area with multiple sacrificial altars (the main altar of Helios and nine smaller). This is probably Hierothyteion of Camiros known from inscriptions. 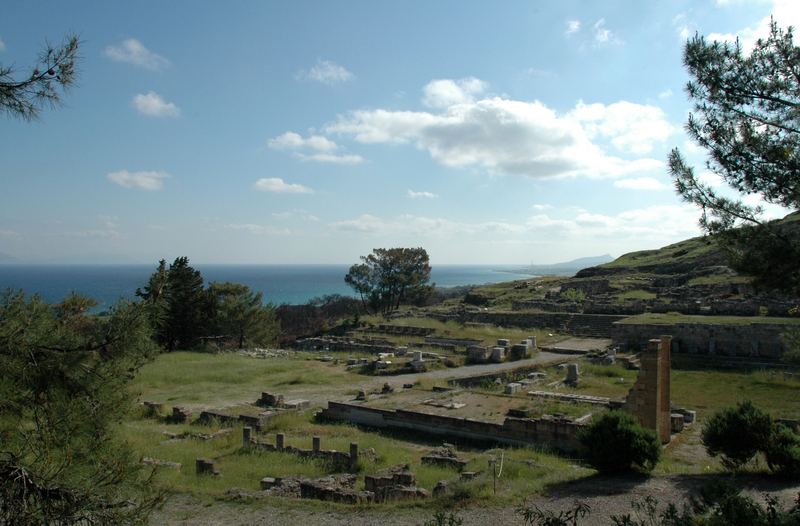 Beyond the agora, spreads, especially on the left, the residential area. The ruins of the houses are located on the slopes of the hill, on either side of the main road from the bottom of the city to the Acropolis, to the right houses the Roman period and left those of the Hellenistic period . 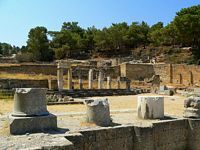 Walking through the network of cobblestone streets, we discover the plan of the houses, including several whose peristyle columns have been identified, and artisan workshops. Two houses remarkable rise in the east of the main street, with courses in interior peristyle. The people had chosen their site perfectly perched above the water. 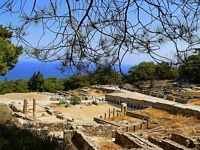 The location is fairly good state of preservation to imagine what life was this ancient Doric city there are more than 2,000 years. Camiros represents a homogeneous Greek city whose inhabitants were simple peasants and craftsmen, potters who often have the reputation of Camiros a reputation beyond the borders of the island . 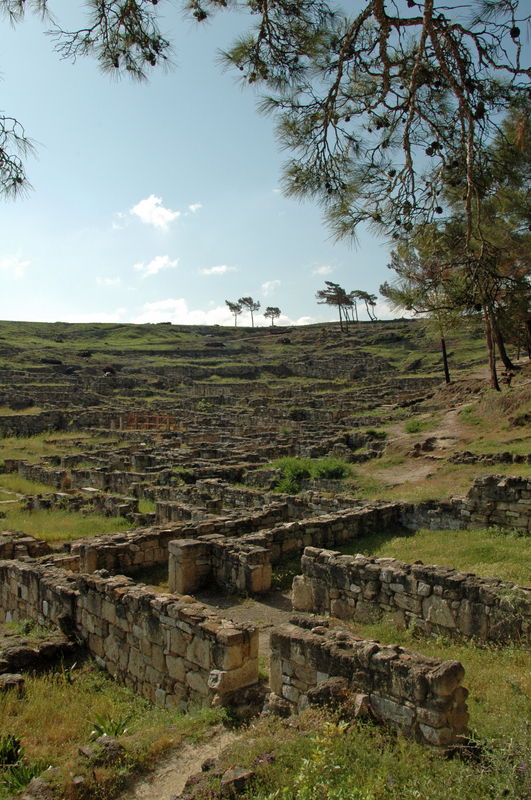 The city was also known for figs, olive oil and wine. 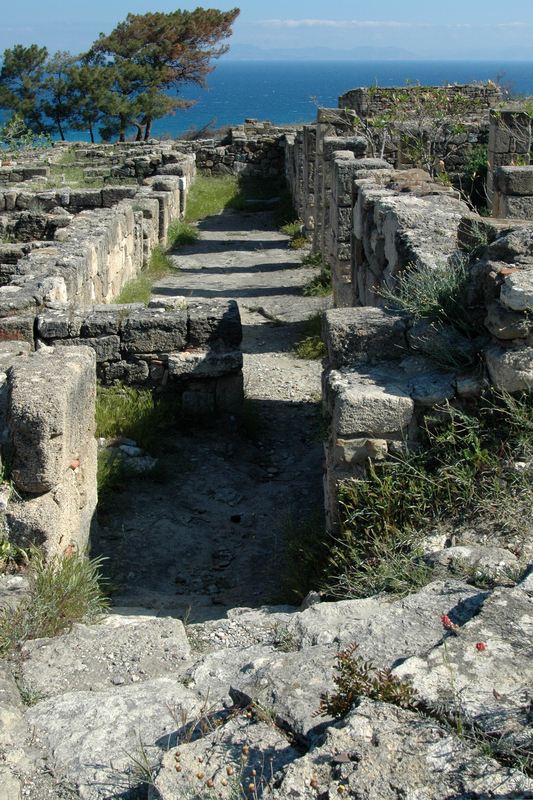 Behind the sanctuary is the altar the remains of Roman baths that were probably public buildings. 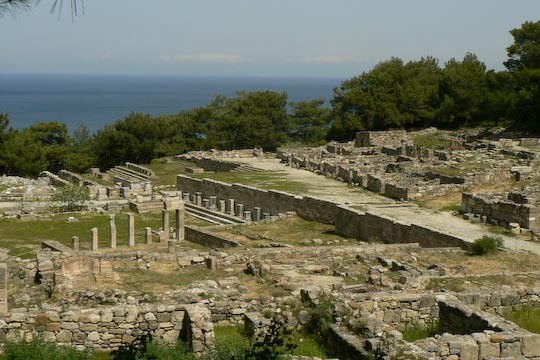 Above the residential area, the ruins of a water system and a covered tank (sixth century BC) with a capacity of 600 cubic meters of water, allowed to supply all throughout the year to 400 families Dorian. You can still see traces in the residential area. The tank walls were coated with a water-resistant product. Two staircases down to the bottom where the two holes used to drain cleaning. They were closed by plugs conical stone. 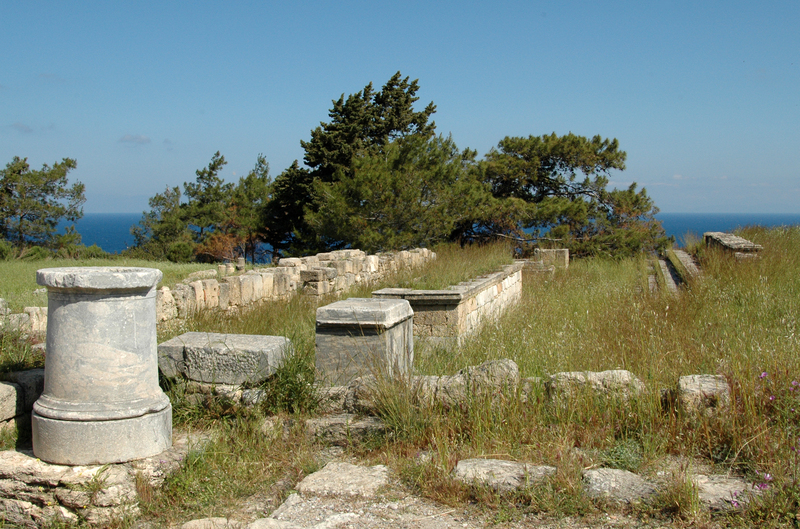 On the heights of the acropolis scatter the remains of a small temple peripteral Hellenistic (fifth century BC) dedicated to Athena Kameiria. 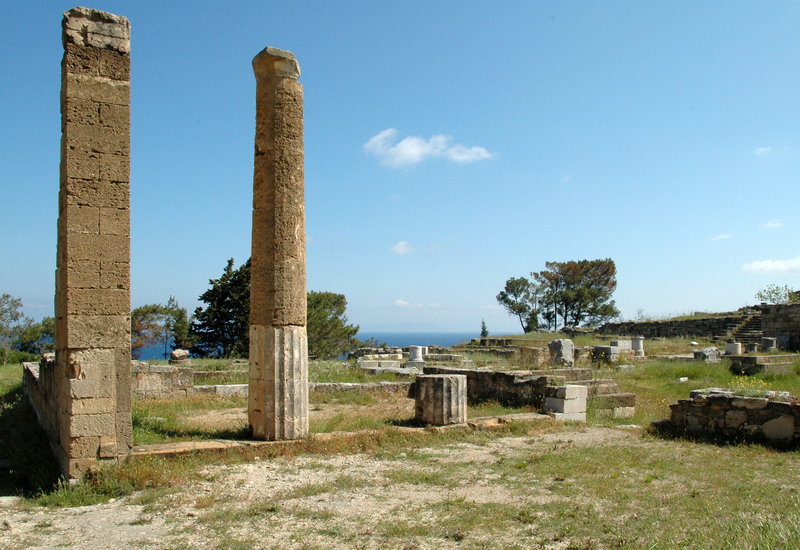 The Doric temple of Athena was built on the ruins of the archaic temple. 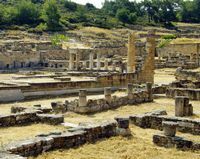 Later, a "stoa" Hellenistic was built below the Acropolis, the "stoa" consisted of two rows of Doric columns with halls for shops and housing at the rear. 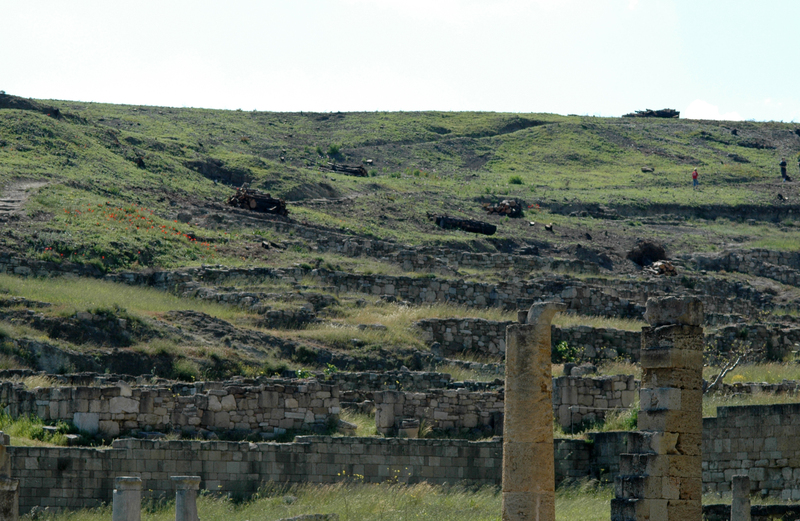 This long bridge (206 m) from the third century BC still aligns six beautiful columns with entablature have been restated. 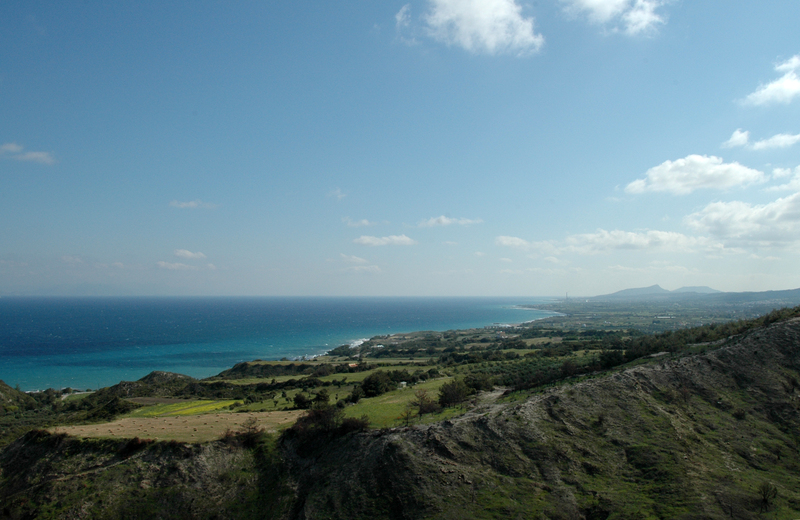 From the temple a panoramic view of the sea and the surrounding countryside is prosperous offered to visitors. 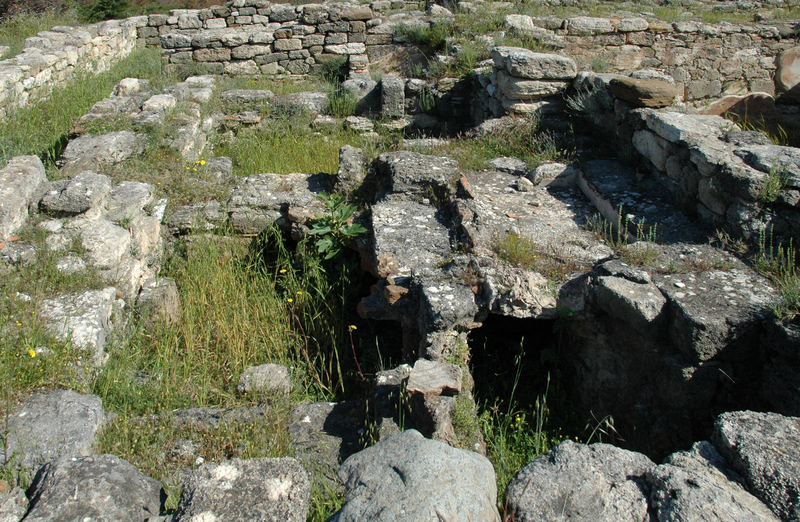 Next to the temple is the monastery of the Panagia, and, a little later, a catacomb paleochristian. 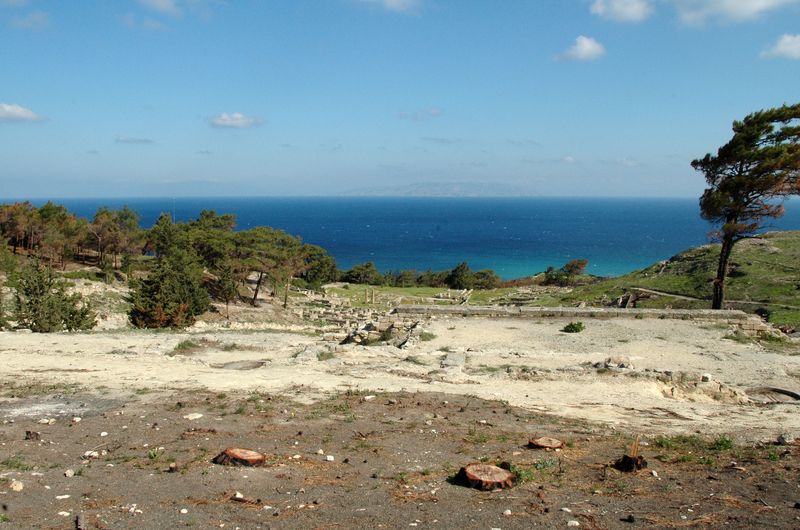 The archaeological excavations in 1859 revealed a Minoan occupation. 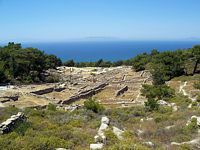 Legend has it that Althéménée, grand-son of King Minos of Crete, was the founder, and a son of Hercules, Tlipolèmos, lived there. At the end of the sixth century BC and the early fifth century, Persian Camiros is under dependence. 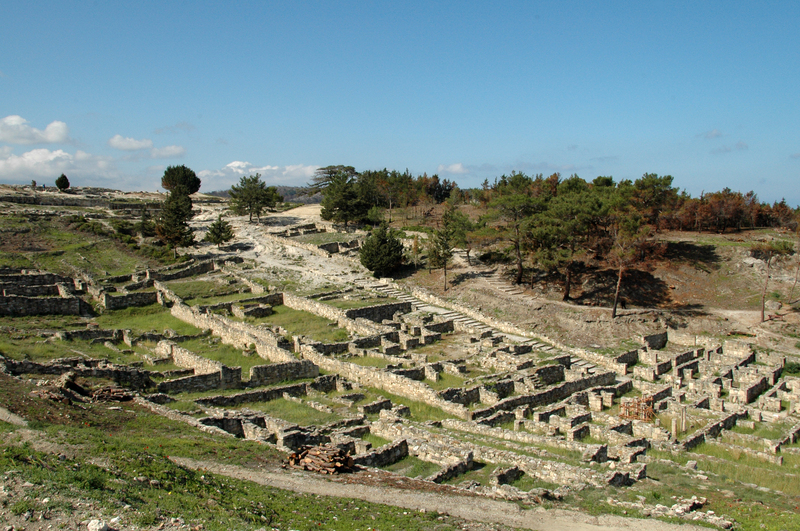 The city regained its independence at the end of the Persian wars, before joining the Delian League. 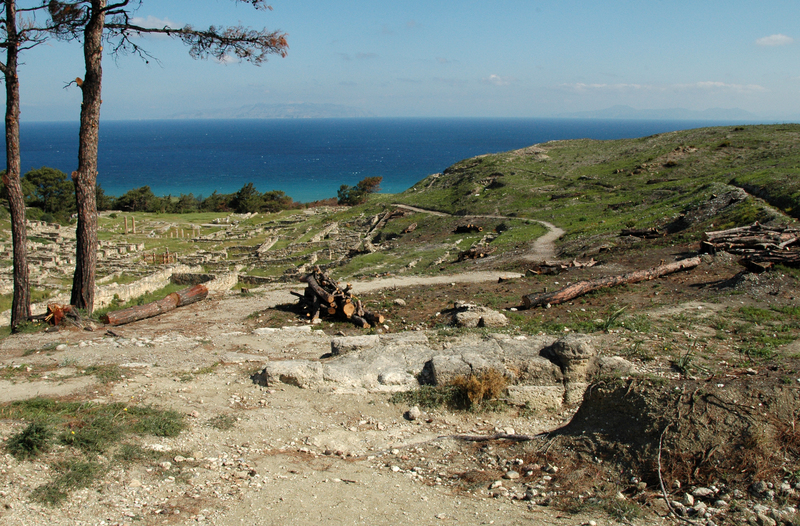 In 411 BC, the Spartans parties Cnidus, landed at Camiros with 94 ships. 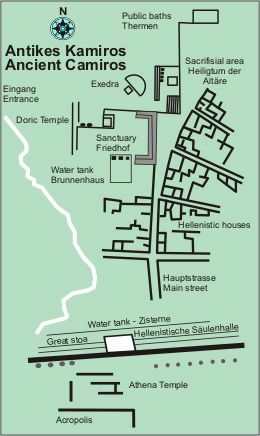 They quickly seized the town, which is not fortified (Thucydides, VIII, 44, 2), and its convening meeting, citizens decided to change sides. 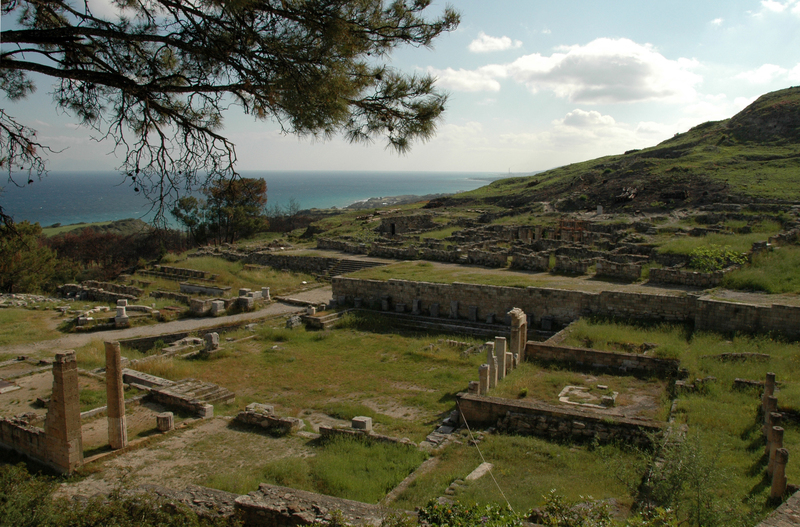 In the fourth century BC during the Hellenistic period, Camiros benefits of trade expansion and cultural Rhodes . 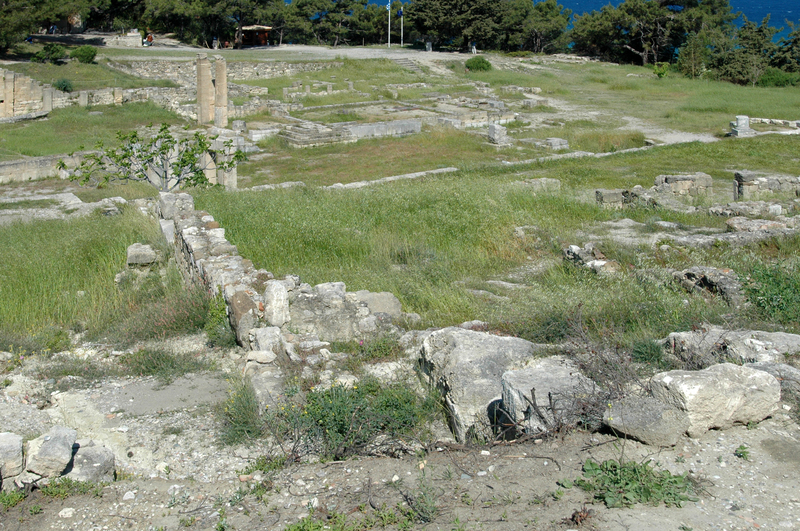 In 305, the city pushes the attacks Demetrius Poliorcetes. 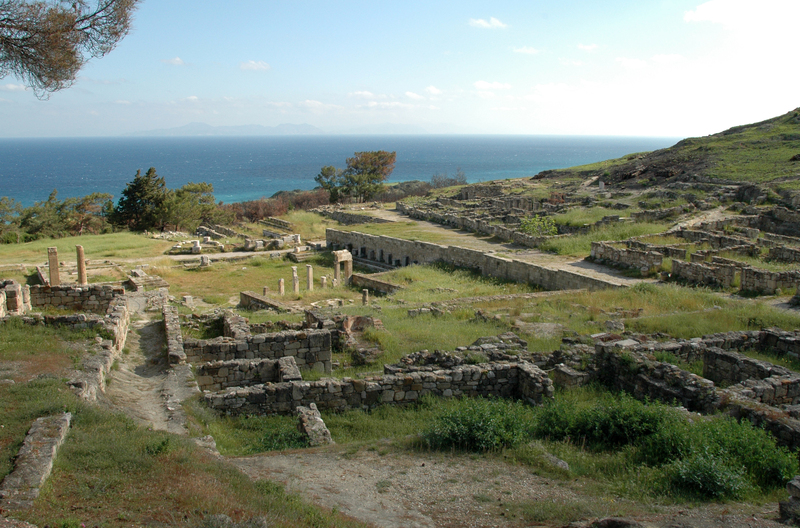 Under Roman rule, Camiros and the rest of the island ravaged by Cassius. 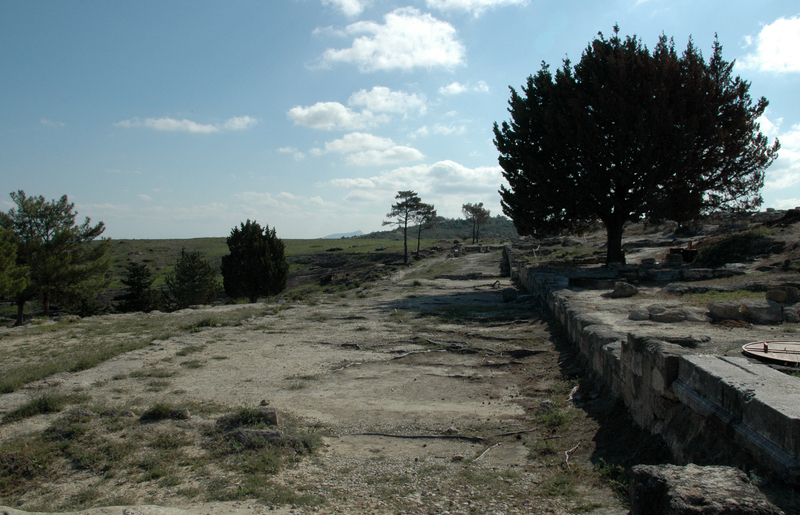 Camiros was not rediscovered until the nineteenth century when the first archaeological campaign conducted by A. Salzmann and A. Biliotti from 1852 to 1864. 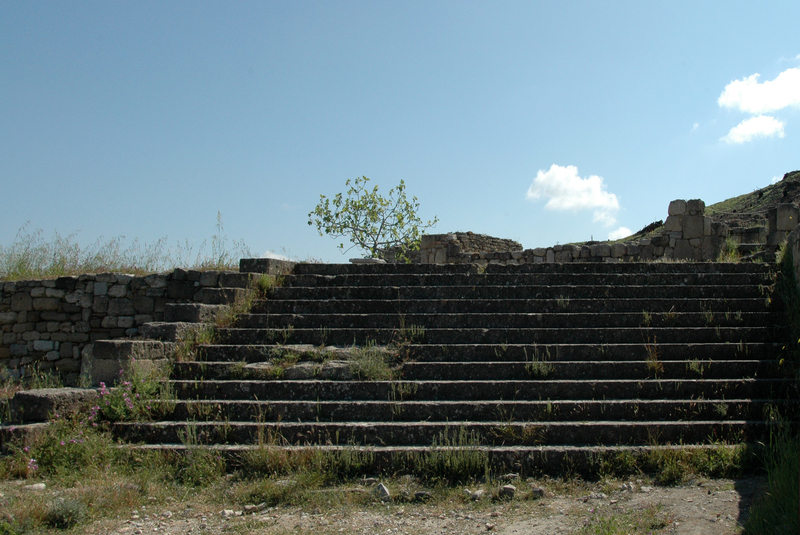 In 1928 the Italian Archaeological School began the systematic excavation of the sector and restoration work which continued until the end of the second world war. 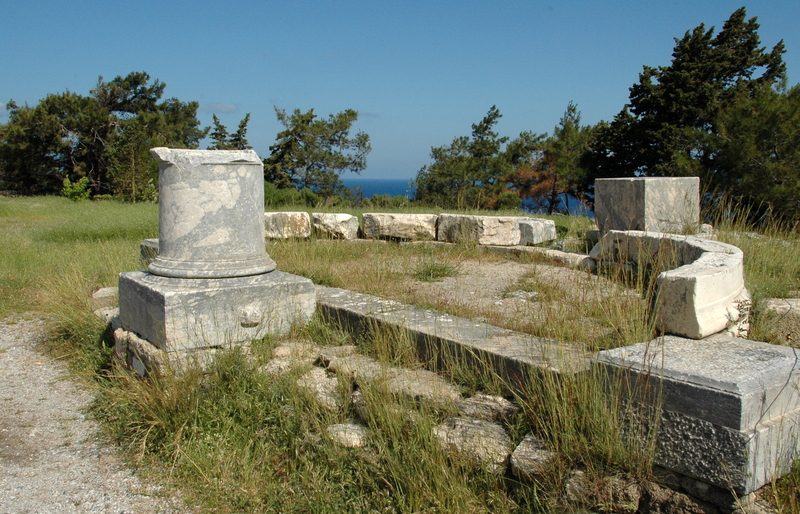 The most famous Native Camiros probably Peisander of Camire, author of the Heracleid and other poems. Camiros was a laborious city, famous for its artisans. 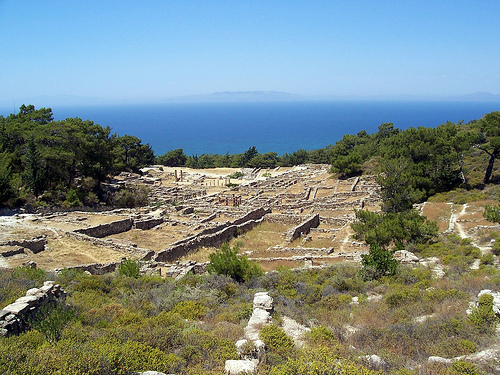 According to Homer, gold jewelry and pottery that were made were very popular outside of the island. 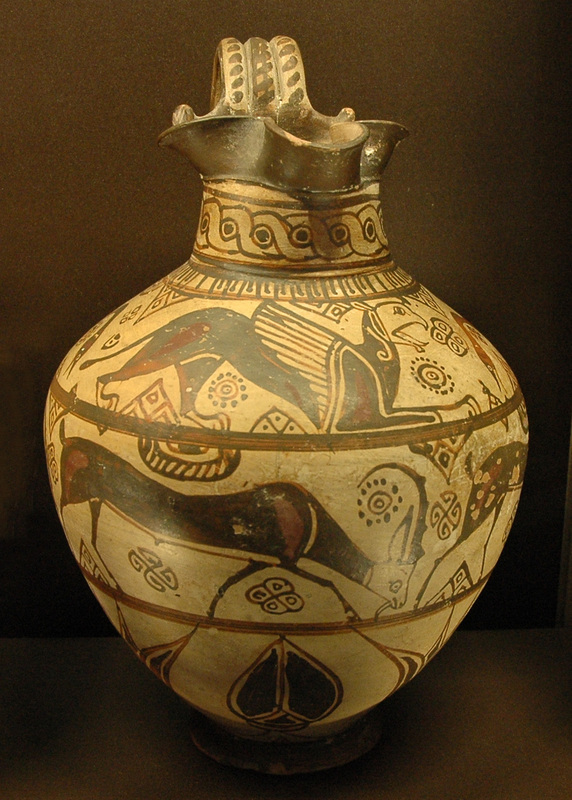 Camiros ceramics were exported in almost all countries that Greece knew at the time. 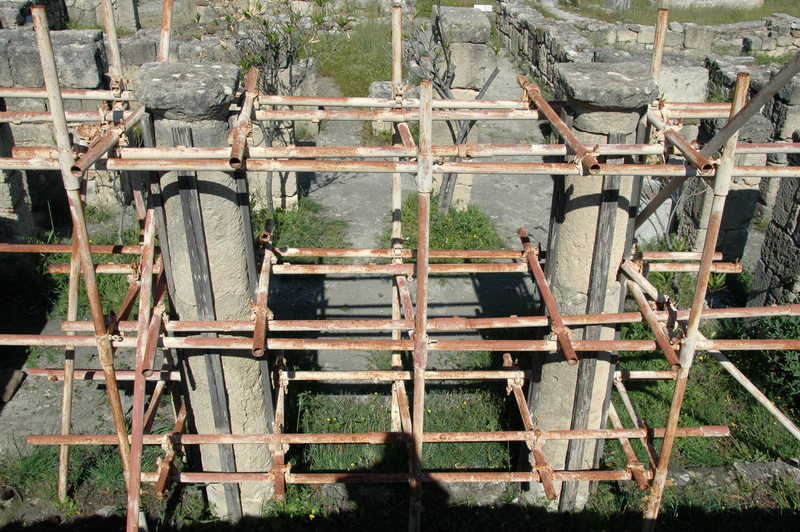 In the sixth century BC, Rhodes developed a style of ceramic particular, called "Fikellura" (the name of a cemetery not far from Camiros), apparently derived from its geometric bands repetitive patterns (squares, points, spirals, scales, croissants, zigzags, broken lines, vertical or oblique, strings, ...) but also inspired by oriental art animal (lions, panthers and wild goats in the position known as the "flying gallop" birds). 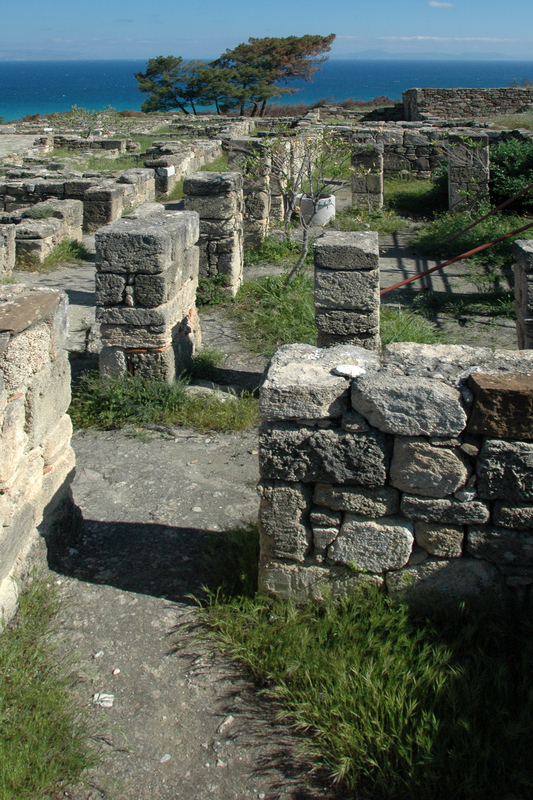 The Italian Archaeological School resumes excavations in 1928, is a necropolis unearthed, revealing many vases of a particular decorative style of the Archaic period, which is nicknamed the "style of the wild goats." It is characterized by a setting organized in superimposed registers in which stylized animals, including wild goats (which gave its name to the style) follow friezes. The cemetery also reveals Fikellura style vases. 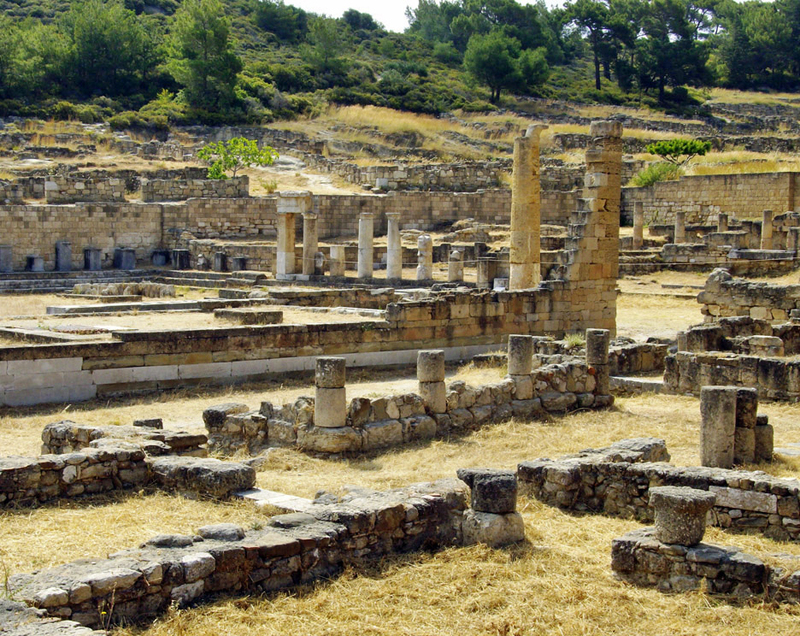 Although a large part of the treasures of Camiros is in the British Museum, multiple ceramic objects, jewelry and headstones are now exposed to the Archaeological Museum of Rhodes . This pendant from Camiros illustrates the technical virtuosity of the goldsmiths eastern Greece to the Orientalizing period at the confluence of the spheres Egyptian, Levantine and Anatolian. On a tray lined with watermark, a lion and an eagle, decorated with granulations, are surrounded by roses and protomes griffins. These patterns are typically Orientalist. 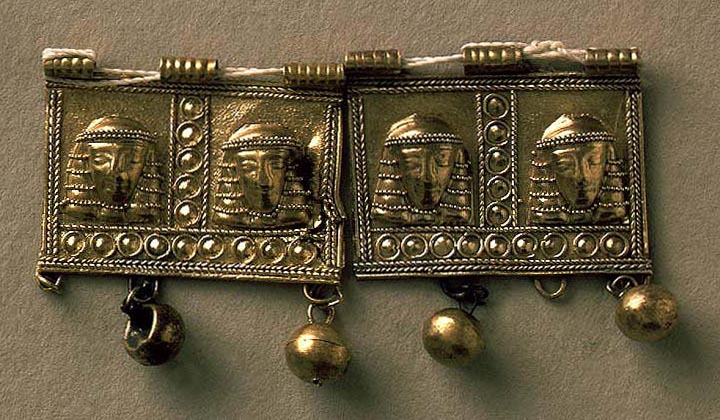 The electrum used, natural alloy of gold and silver served at the same time in the early Lydian and Greek coinage, shows the richness of the eastern regions of the Hellenic world at the time. We found pieces decorated with a fig leaf, minted Camiros the sixth century BC. 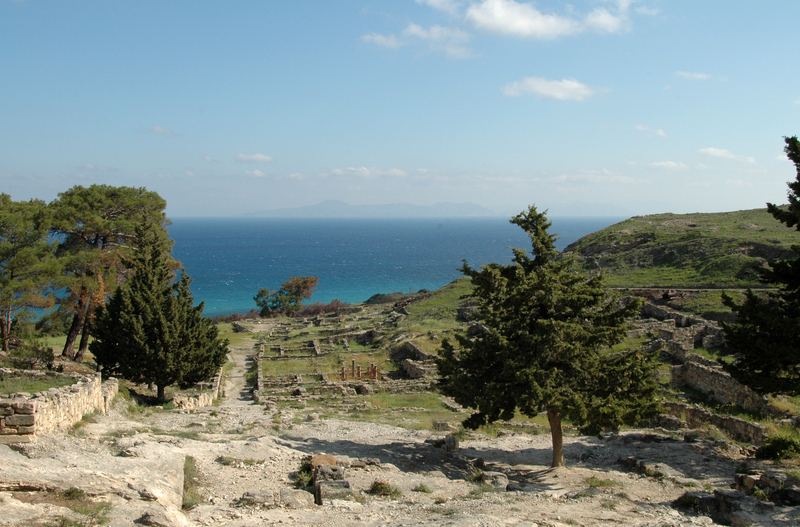 Camiros with Lindos and Ialysos is mentioned by Homer in the Catalogue of Ships (Iliad, II, 653-656): "those of Lindos, Iélyse and white Camire." 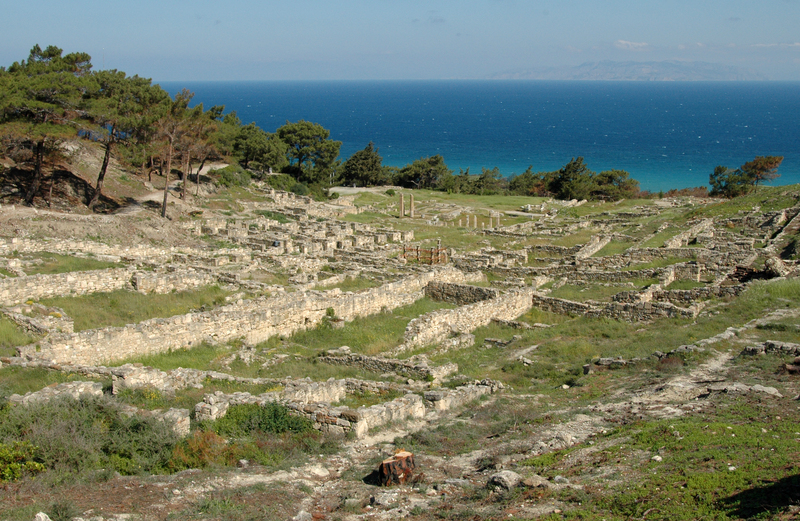 According to Herodotus (I, 44), these three cities together with Kos, Cnidus and Halicarnassus the Hexapole Dorian. 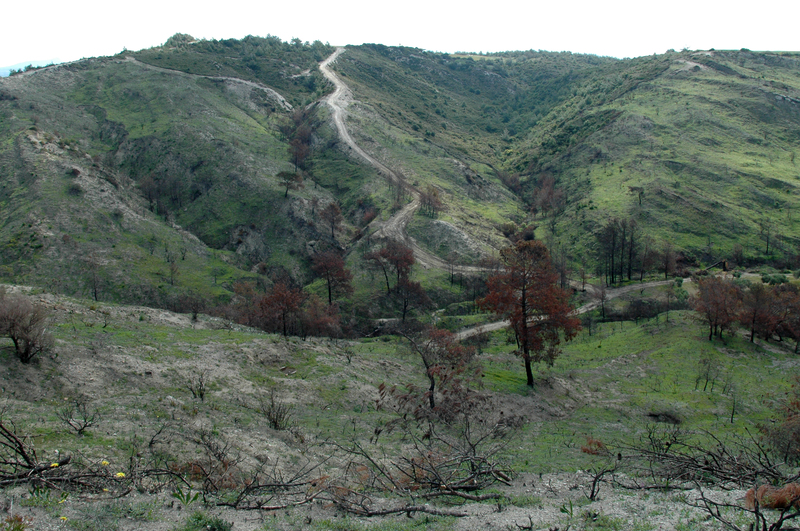 The greenery surrounding the site Camiros went up in smoke during a fire in 2008. 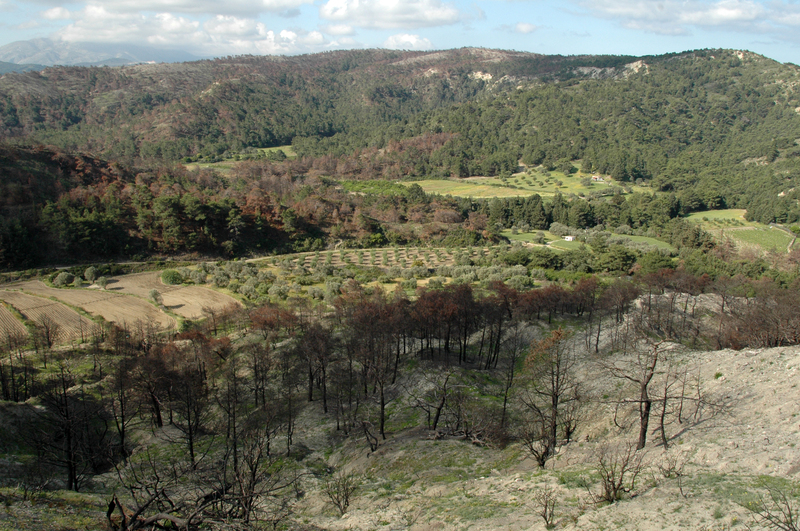 Opening hours Summer: The site is open Tuesday through Sunday from 8 am to 19 30 pm - closed Monday; Winter: 8 h 30 to 14 h 30. 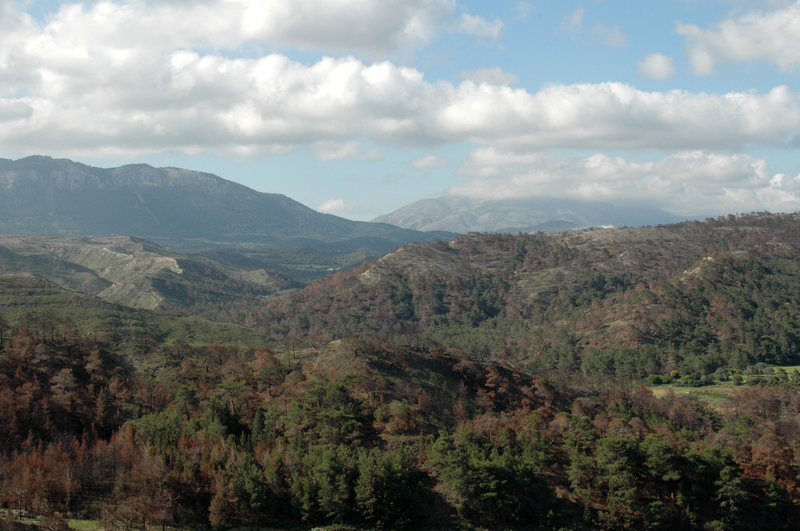 Regular bus service from Rhodes .